Home » Physicians and Clinical Team » Scott J. Davidoff, M.D. Dr. Scott Davidoff earned his undergraduate degree from Emory University in Atlanta and his medical school degree from Temple University School of Medicine. Dr. Davidoff then completed an internal medicine internship at Hahnemann University Hospital and subsequently returned to Temple University for his residency training in Physical Medicine and Rehabilitation. 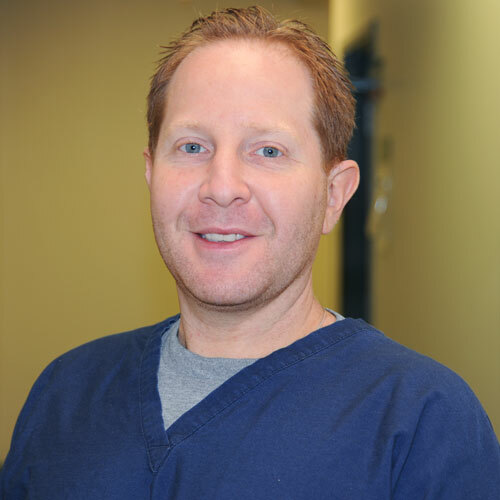 After his residency, Dr. Davidoff completed a fellowship in interventional pain management/sports medicine at Orthopaedic and Spine Specialists in York, PA.
Dr. Davidoff has undergone extensive training in various fluoroscopically guided (X-ray guided) procedures used to treat neck and back pain. He additionally specializes in regenerative medicine, including PRP and stem cell therapies to help treat an array of painful conditions.